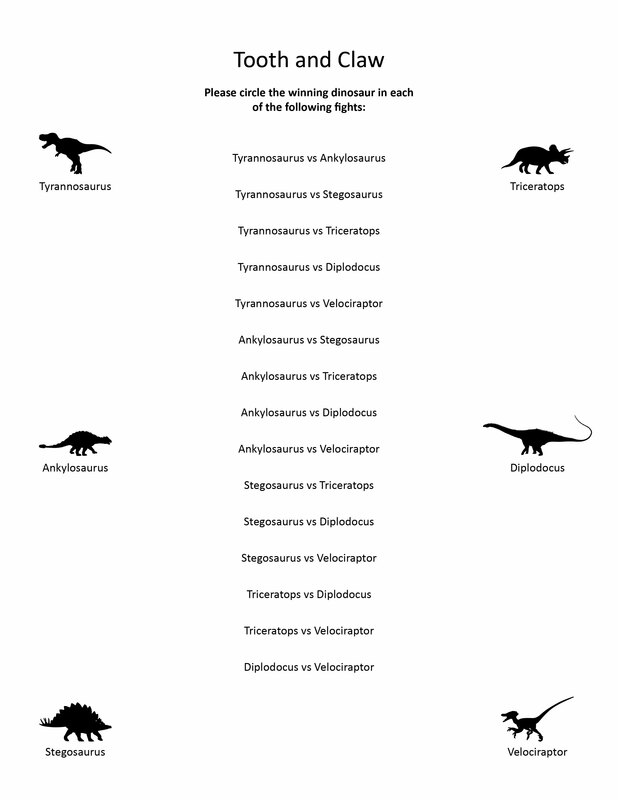 This is a fun, simple participatory game in which you simply choose which dinosaur would win in a fight, for each of fifteen pairs of dinosaurs. It was inspired by the comic book battles that I enjoy participating in on Comic Vine. The participating dinosaurs, who are matched up against each other in every possible combination, are Tyrannosaurus, Triceratops, Stegosaurus, Ankylosaurus, Diplodocus, and Velociraptor. So far, Tyrannosaurus (to no one’s surprise) is the clear winner, with the most total votes among all its battles. The participants forecast it to win all its battles. Triceratops is very close in total votes and is expected to win all its battles except against Tyrannosaurus. Velociraptor comes a little behind them in total votes and wins all its battles except against the former two dinosaurs. The last three dinosaurs are further behind in votes and are all expected to win only one battle each. The most lopsided battles so far are Tyrannosaurus against Ankylosaurus (92% to 8%) and Triceratops against Stegosaurus (also 92% to 8%). 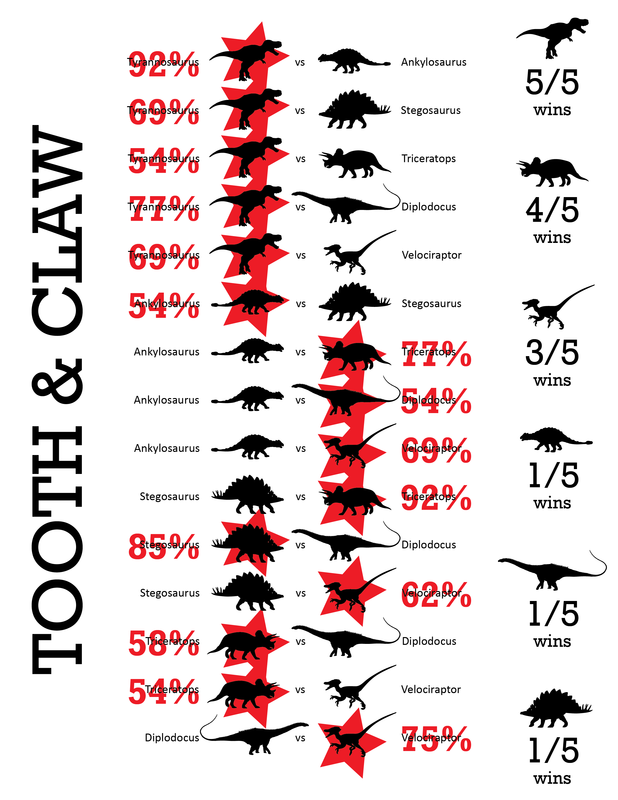 The closest battles are Tyrannosaurus against Triceratops, Ankylosaurus against Stegosaurus, and Triceratops against Velociraptor (all 54/46%).